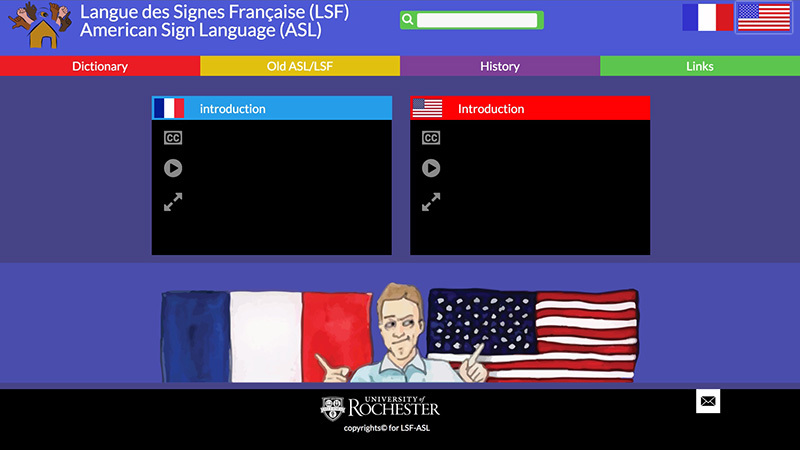 The LSF-ASL website was created to help users learn about French and American sign language. In the top right corner of the site you will see the American and French flags. If you want to read the website text in English, click the American flag. If you prefer to read the information in French, click on the French flag. To learn more, visit the LSF-ASL website. For questions or feedback please email lsfaslrochester@gmail.com.